Final day of fleet qualification racing at the Trofeo Princesa Sofia Iberostar decided the Top 10 in each of the ten fleets to contest the Medal Races on Saturday. The breeze eventually turned up and all the racing was completed in a timely fashion. The British Sailing Team has competitors in seven of the ten medal events so should take two gold, maybe three and a couple of silver and bronze on Saturday. Mills and McIntyre finished with back to back wins and 13 points ahead of Lecointre and Retronaz FRA and third Mrak and Macarol SLO. Sweden’s Dahlberg and Bergstrom take Gold a day early, second Patience and Grube, with Xu and Wang CHN in third in a tight battle for silver. Fletcher and Bithell also take an early Gold, while Spain’s Botin Le Chever and Lopez battle the Lange brothers ARG for silver and bronze. Brazil’s Grael and Kunze almost there, while Kiwi pair Maloney and Meech will battle Dobson and Tidey for silver and bronze. Weguelin and Ainsworth are in at eighth place. Aussie Andrew Maloney has a six point advantage over Giles Scott in the quest for Gold, and Josh Junior is in bronze position. Ed Wright squeezes in at ninth place. Chris Barnard of the USA leads by 12 points from Elliot Hanson with Nick Thomson eight ponts back defending Bronze from four others, including Lorenzo Chiavarini. 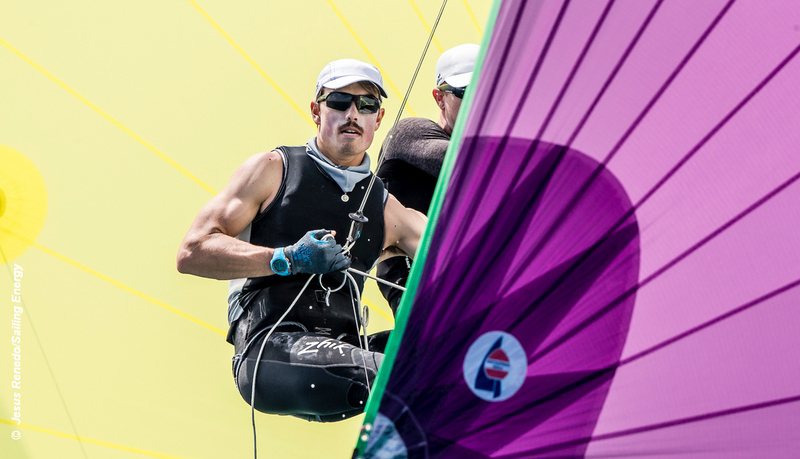 Australia’s Waterhouse and Darmanin should be Gold with Bissaro and Frascari ITA busy battling Gimson and Burnet for silver/bronze, Saxton and Boniface looking to spoil the party! Britain miss this medal race, which will see Denmark’s Anne-Marie Rindom defend her Gold position from Erika Reineke USA, Tuula Tenkanen FIN and Marit Bouwmeester SWE. Brits finished in line astern: 15th Alison Young, 16th Hannah Snellgrove and 17th Georgina Povall. Hong Kong’s Michael Cheng versus China’s Hao Chen for Gold, while Swiss Mateo Sanz Lanz should be OK for Bronze. China’s Yue Tan should have Gold, Hei Man Chan HKG the Silver and Dane, Laerke Buhl-Hansen the Bronze if it goes to format. All Medal Races are on Saturday.